Mud Springs, close to Cortez, can be a great alternative to Sand Canyon. The Bureau of Land Management Special Recreation Management Areas offer a unique combination of terrain scenery and climate that allows for nearly year-round recreation close to town and are surrounded by panoramic backdrops. They are relatively small blocks of public land that are conducive to nonmotorized trail use with opportunities for short motorized trails and clearly defined open play/training areas. There are several in the Cortez area, but I want to introduce you to Mud Springs, south of Cortez off Road G.
Mud Springs can be a great alternative to the ever-popular Sand Canyon and is only 4 miles down Road G, as opposed to the 11 mile drive to Sand Canyon. If you have been to Sand Canyon lately, you realize that its popularity has outgrown the parking lot. Mud Springs offers many of the same amenities: hiking, biking and horseback riding and parking. In addition, there is some area for motorized use. The high-desert terrain consists of piñon/juniper forest, sage plains, rock formations, and in the spring, plenty of native plants and flowers in bloom. If you are on the nonmotorized portion of the trail, you will only intersect briefly with a motorized area to continue to the nonmotorized area. It is a place where you can develop your hiking or biking skills and choose different levels of physical challenge that meet your needs. 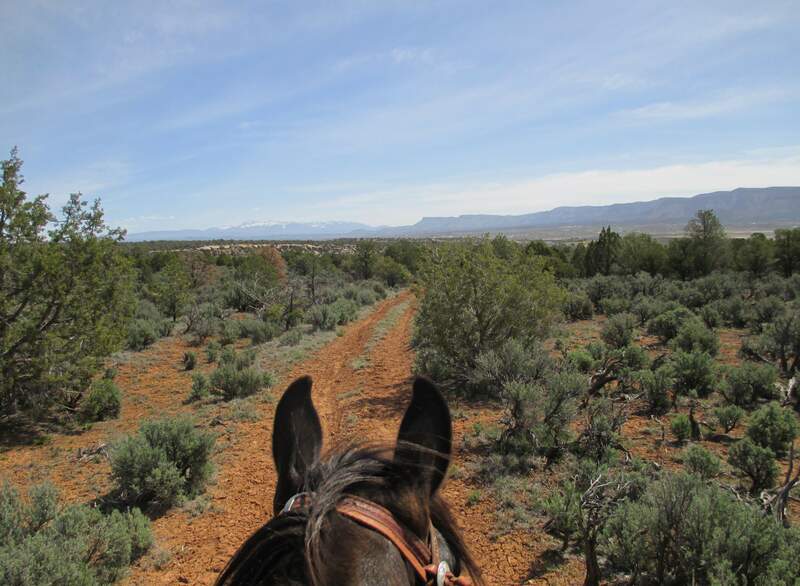 The nonmotorized trail wraps itself around on a small mesa that has exceptional views of Ute Mountain, Mesa Verde and the La Plata Mountains. Dogs are welcome, either leashed or under voice control. In the Mud Springs’ natural environment, motorized users can find areas for off-highway vehicle trail riding with an open-travel designation of 23 acres for rock crawling. Motorized users are limited to specific areas within Mud Springs, and standard four-wheel-drive pickups are prohibited. Shooting is also prohibited, so visitors can feel safe while recreating in the area. Volunteer groups have been instrumental in helping the BLM create the trails and travel ways at Mud Springs. Mesa Verde Back Country Horsemen, Conservation Legacy, San Juan Mountains Association, Southwest Colorado Cycling Association and students from the University of Missouri have contributed many hours installing signage, building trail cairns, picking up trash and repairing fences. There are still many opportunities to volunteer in this area. There is ample parking, a sign board with a map and the trails are well-marked. Maps are available at the public-lands offices in Durango and Dolores. Remember to tread lightly and leave no trace when visiting this inspiring area. On National Trails Day, San Juan Mountains Association, in partnership with the BLM, will host a morning of hiking and horseback riding at Mud Springs. Visitors will have the opportunity to learn more about what Mud Springs has to offer. Specialists and naturalists will be on hand to lead hikes and answer questions. If you are interested in participating in a National Trails Day Event at Mud Springs, just show up at the trailhead at 9 a.m. June 6. Maps will be available. Children older than 5 are welcome and must be accompanied by an adult. Well-behaved dogs are welcome, too, but must be leashed. There are no bathroom facilities. For more information about National Trails Day, contact me at Kathe@sjma.org or 385-1310. Directions from Durango: Travel west on U.S. Highway 160 through Cortez. Turn south on U.S. Highway 491. At the second stoplight, Road G, turn right or west. Travel about 2 miles on Road G to Road 21. Turn left or south. A parking lot for Mud Springs is about 1 mile down on the right. Kathe Hayes is volunteer program director with San Juan Mountains Association, a nonprofit dedicated to public land stewardship and education.